When the first families check into Center Parcs’ Longford Forest resort next year, they will have over 100 activities to choose from. 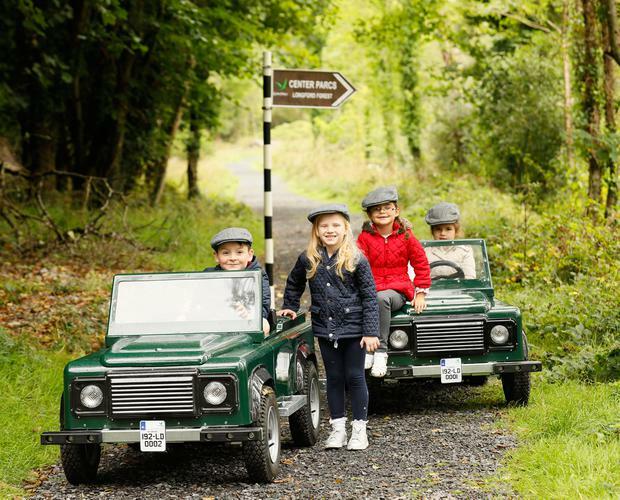 That’s according to the latest press release from Center Parcs Ireland, which is scheduled to open its €233m resort near Ballymahon next summer. Over 100 indoor and outdoor activities will range from Aerial Tree Trekking and Laser Combat to Indoor Climbing, Pottery Painting, Cupcake Decorating, Willow Weaving, Den Building and more, it says. 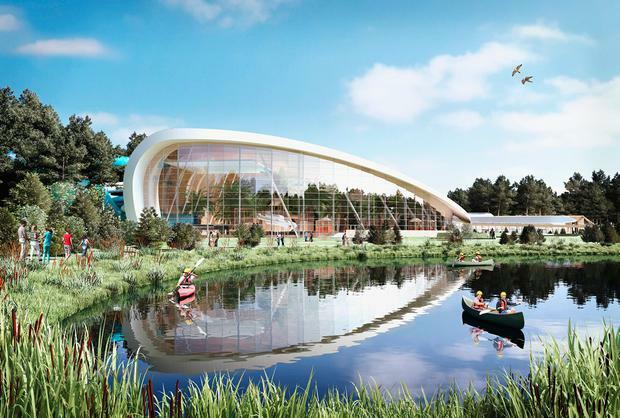 “The beauty of a Center Parcs break is that you can do as little or as much as you choose and our activities are designed with families in mind,” said Martin Dalby, Center Parcs CEO. Of course, those activities also drive huge revenue for the resort. While some – such as the Subtropical Swimming Paradise (pictured top) – are included in the accommodation rates, others range from £9.75/€11 for a 45-minute soccer coaching session to £32.50/€36 (adults) for 90 minutes’ Laser Combat. Both examples are from the UK’s Woburn Forest, where even simple bike rentals can cost up to €35pp, with helmet hire at €5.70 (read our top 10 Center Parcs tips). Families visiting at busy times are strongly advised to book popular activities in advance, and to bring gear like bikes or tennis racquets in the car. Other outdoor activities at Longford will include archery, adventure golf, Segway experiences, Geocaching, falconry, tennis, Stand-Up Paddle Boarding, Raft Building and kayaking. Indoor activities will include climbing walls, a Chocolate Chefs Academy, Sensory Play, fencing, table tennis, bowling and badminton, according to the resort. Bookings are expected to open later this year.